Are you a big fan of bourbon? Or are you just getting started learning about it? Either way, this is a popular drink, and it’s only growing in popularity as the years go on, too. If you’re looking for a way to impress your friends and family the next time someone breaks out a bottle of bourbon, don’t worry—we’ve got you covered. Below, we’ve put together a list of some of the most interesting and unique facts about bourbon you may or may not have already known. Keep these handy for the next time you want to show off your love of bourbon a little! 1. Bourbon has to come from Kentucky. While there are a lot of other types of whiskey in the United States (and other types of whisky worldwide), for a whiskey to be called a bourbon, it is required to be made in Kentucky. The climate and water (which is rich with limestone) in Kentucky lends itself to the perfect condition for the distillation of bourbon. Without these elements, bourbon would not have its signature flavor palate or color. There are other types of bourbon that have been made throughout the United States, but they cannot be called Kentucky bourbon and must be specified on the label that they do not come form Kentucky. Despite the existence of these recipes, real Kentucky bourbon makes up almost all of the bourbon produced in the United States. 2. Bourbon’s closest competitor is Tennessee whiskey. These two types of beverages are very similar, and Tennessee whiskey was created to follow in the footsteps of the popular Kentucky bourbon. Both alcoholic beverages were very popular during prohibition and were produced in illegal distilleries throughout both of these states. However, even though they are similar, they are not the same, and it is important to remember that Tennessee whiskey is not going to have the same flavor profile that Kentucky bourbon does. 3. Bourbon is the only official native alcoholic beverage of the United States, although it has many rules and regulations to back that up. In 1964, Congress officially declared Kentucky bourbon as the native alcoholic drink of the United States. In order to be classified as true American Kentucky bourbon, however, the drink must be aged only in oak barrels that have been charred to give the bourbon its signature smoky flavor and brown color. It must also be made with at least 51% corn instead of other grains, and it must be no less than 80 proof when it is bottled. Finally, it must be stored initially at no more than 125 proof. When all of these specifications are met, bourbon is officially Kentucky bourbon. too. However, this is less common, simply because bourbon with additives is less popular overall. 5. Bourbon barrels can only be used once—for bourbon. There is a specific method of charring the metal and wooden parts of the oak barrels for bourbon storage and aging, but when they’ve been used once, they are not longer allowed to serve the same purpose anymore. In fact, it’s required by law that bourbon can only be stored in new charred oak barrels. With that said, however, there are plenty of other uses for these barrels when they’ve run their course with Kentucky bourbon. Most often, they are upcycled, so to speak, for use in storing Scotch whisky instead. In other instances, they have been used in the production of certain types of craft beers to impart the flavor of the bourbon into the beer and create a new and unique taste that is growing in popularity, too. 6. There is a such thing is clear bourbon. Bourbon that has been distilled but has not yet been stored in charred oak barrels is known as white dog. This is a clear spirit that is much, much stronger than aged bourbon, and it has a very harsh and overwhelming flavor and proof too. 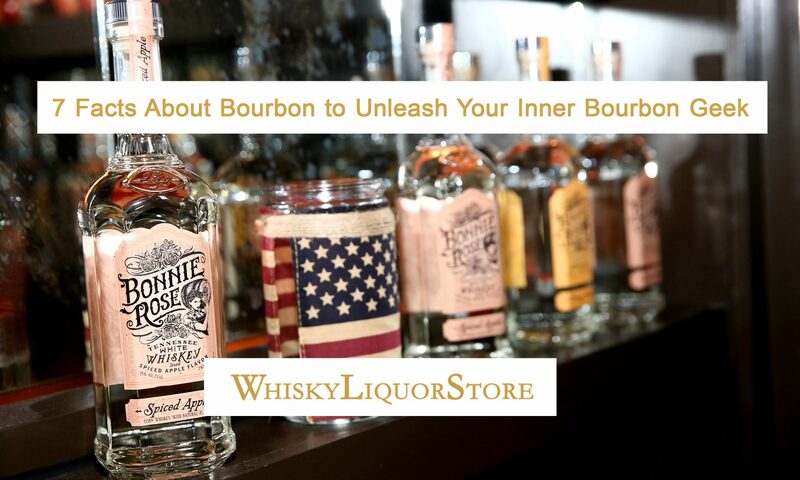 However, many people enjoy drinking it, and so a lot of distilleries sell a small amount of white dog from their batches of Kentucky bourbon to those who are bold enough to give it a try. 7. It’s impossible to really know where Kentucky bourbon came from. Many different people, towns, and counties claim to be the origin of Kentucky bourbon and the recipe that’s used to create it, but because of a lack of real records and many of these people being alive and making bourbon at the same time, no one can really know who started it. It’s definitely true, however, that Prohibition popularized it, and that this drink caught on fast among the people of both Kentucky and Tennessee (as well as many of Kentucky’s other neighbors, too). Kentucky bourbon is a varied and intriguing beverage that many people are growing to love around the world. It has recently seen a resurgence in popularity especially among its fans in the United States, however, and it continues to be a well-selling alcoholic drink in both bottle and glass. This is a versatile type of whiskey that can be enjoyed on its own or in cocktails of all types, too, so don’t be afraid to get creative with the way you drink your bourbon the next time you pick up a bottle. Unlike other types of whiskey, you aren’t going to be breaking any rules if you want to try it in a cocktail or on the rocks, so all you have to do is figure out the best way for you to enjoy your bourbon. Next PostNext What Makes a Whiskey Bourbon?